Less than one week to launch! The extra-colourful 2019 Festival of Colour programme has gone to print and we will be sharing it with our stakeholders at our launch event on Monday evening next week. Directly afterwards it goes out to the world – check out our website from 8pm on Monday night: www.festivalofcolour.co.nz. That’s less than a week and you can start picking your shows from this year’s world-class line-up of music, theatre, dance, words, art, film and Aspiring Conversations. We’ll also do a full run-down of the festival in next week’s e-newsletter. We’ve sent invitations to our Sponsors, Patrons and Benefactors for our launch event next Monday – if you’re missing yours, have a peek in your junk email folder, or get in touch with Laura on laura@festivalofcolour.co.nz. And thank you to everyone who has RSVP’d! Priority ticket bookings for Patrons, Benefactors and Sponsors start from 7pm and are open until 5pm on Wednesday February 20. The Lake Wanaka Centre box office will be open on Friday, February 22 from 8:30am to 2pm and on Saturday, February 23 from 10am to 2pm. And remember, this year’s Festival of Colour is super-sized, with extra events scheduled from March 30, and a final bonus show on Monday, April 8. 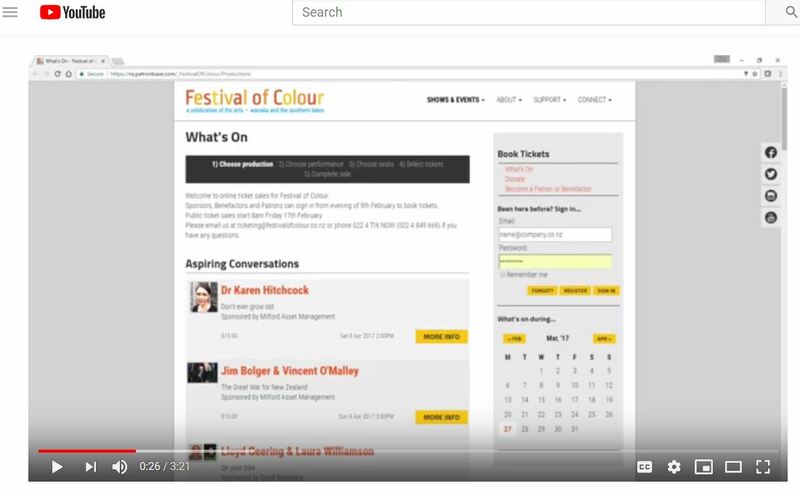 Our ticketing team have brought back our popular ‘How to book tickets online’ instructional video. This takes you step-by-step through how to register and log into the ticketing system, and how to book tickets to our shows. 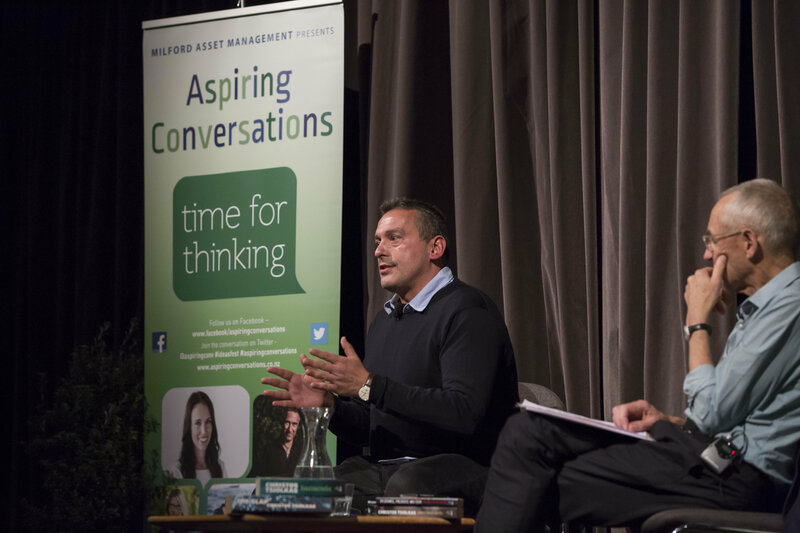 Many of you enjoyed Christos Tsiolkas’ session at the 2018 Aspiring Conversations in Wanaka. Listen to him talk with Michelle de Kretser, author of the Miles Franklin-winning novel The Life to Come, at the Sydney Writers’ Festival. It’s not too late to join us as a supporter! A very big thank you to the Patrons and Benefactors who have already committed for 2019 – you have helped us bring the best of arts and ideas to our region. Join us, or renew, as a Patron or Benefactor before our launch – you will be helping us bring our bigger and better programme to the community, and you will also enjoy benefits like a priority booking period for tickets. 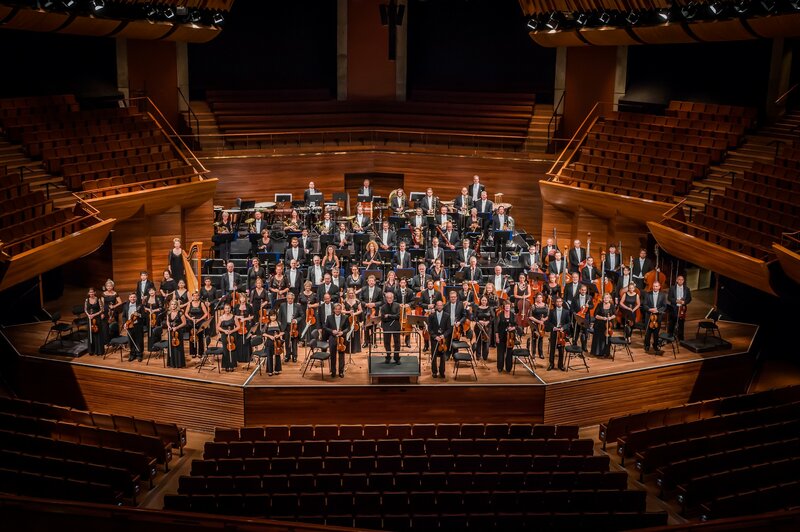 In a country where sporting achievement seems to be the measure of success, it is so refreshing for Radio Wanaka to be able to support what is now recognised as one of New Zealand’s most successful and loved arts festivals. Clever, talented people from all sides of the creative spectrum achieving great things on our local stage in a week that has become a highlight on not just the Wanaka but on the New Zealand Arts Calendar. Listen to Radio Wanaka for regular updates and interviews throughout festival season!